When I look back and reflect on my post last year ´Top 10 lessons of 2016´ , I realize how those lessons still hold good today. But, every year teaches you something new or acts as a sweet reminder of the old. 2017 has been a wonderful memory of some new and old deja vu experiences. Here´s a little surprise. What I didn´t reveal in my post last year was my theme of the year 2017. I truly believe it is important to have a theme before setting up your goals or resolutions for the year. It gives your dreams and goals a clear direction. My theme for 2017 was Éxperimentation´. I wanted to explore new territories and avenues. And, I think I achieved that last year. I tried new genres of writing for the very first time – fiction, parenting articles and book reviews. I would have loved to explore more genres (horror for instance) in fiction writing but I´m glad I made a definite start which I believe is a good one (yes, a children´s story thrown in the melange as well). I joined new online platforms as a contributor and made a lot of new like-minded friends from various parts of the country. 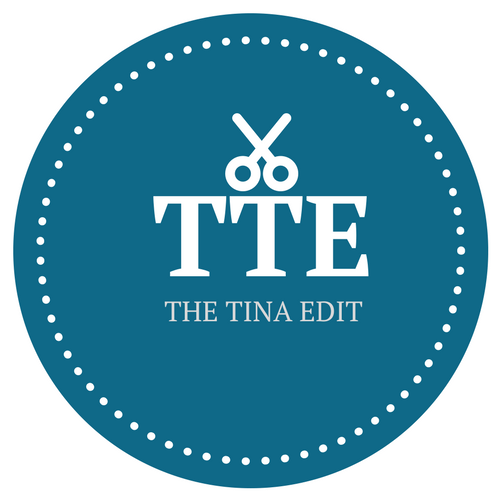 I started my new blog site with a brand new identity ´The Tina Edit´. I experimented with the idea of working from home and writing on the side. Why the theme Éxperimentation´? I wanted to get a pulse of what the readers liked the best about my work. So, I tried to write in different genres and styles. And, I had a surprise revelation. The articles with a non-populist stance did soaringly well despite the backlash. They were the most read, most debated and also the most liked as well. I was also pleasantly surprised at how much I enjoyed writing Flash Fiction (stories under 100 or 200-250 words). I also realised that while working from home is great, it is not certainly not cut out for me. First the ups – My daughter gets the best of me. I think she was in great hands when I was working at home. She ate well, topped her class and won nearly every competition she participated in. Next, there were lots of family weddings and travel lined up in the latter half of the year. I could travel without caring about leave permissions. Now, the downside. Working from home has become a little too cozy for my own taste. Picture me working in my pyjamas or meh clothes at home. Besides, I do miss dressing up in my work clothes and going to a physical office where there is a clear demarcation between work and home. Yes, I met friends over a cup of coffee and had fun family outings but its not the same. Working from home is a bit isolating for an extrovert like me. It can get quite lethargic too.Working from home works great for some women and it doesn´t for others. Writing is going to always stay nonetheless. But, I know one thing for sure that my life and dreams cannot be put on hold just because of my marriage or motherhood status. Contrary to research studies on multi-tasking, I think women are a natural at multi-tasking and it´s not rocket science to figure out why God chose women to bear children into this world. My mother was a working woman with 3 children in a nuclear family and juggled the responsibilities of work and home. It was certainly not easy for her but if my Mama can do it, so can I! What I could have done better in 2017 is sticking to deadlines and learning to say a firm ´No´. I was taking in more than I could chew last year. I hope to work on these aspects in 2018. Be bold – Be bold because that´s the only way to live your life. You don´t need anyone´s approval or permission to be you. Life is not meant to be lived in fear. Yes, surely one must be sensitive of other´s feelings and space. But, this is our life and we are the solely responsible for it. The only one force that I fear is my Creator or God. Period. Be kind – If I had to have an all time favourite quote, it would be this – ´It is nice to be important, but it is more important to be nice.´ Kindness is not weakness but strength. When the world becomes unkind, we all suffer. It is kindness and love that makes the world still a beautiful cozy place to live in. Be beautiful – Coming to beautiful, it doesn´t take much. Our thoughts, beliefs, words and actions are the perfect make-up for looking beautiful for eternity. It doesn’t take much to be beautiful other rinsing away our pride, selfishness and ego from our souls. Be a believer: One man´s trash is another´s treasure. Always..always value yourself and your work. If one door closes, trust me there are 10 other doors that are still open for you. Never stop believing in yourself ever. Be a tortoise: No matter what juggernaut life throws at you or you throw yourself into, either ways, keep on moving. Yes, I made a mistake…I goofed up. Yes, I failed! It´s fine. Just keep on moving towards self-improvement. Even if we take baby steps, it’s fine. Just don´t stay stuck in the rut. Come out, dust yourself and move on…And oh, go slow, smell the roses along the way and soak in the sights and sounds along the trail. Keep on moving though till you meet your goal at the finish line. Health is wealth – In the pursuit of excellence, I have neglected my health last year. And, I realised how wrong my priorities were. Nothing…simply nothing is more important than one´s own health. Need to remind myself that this year. Be a curious cat: Contrary to the old adage ´Curiosity kills the cat´, I would rather die than live a non-curious life. Curiosity is my elixir of life. I stop growing when I stop being curious…when I stop asking all the questions…Curiosity drives me to greener pastures that I never knew existed before. Be curious and continue discovering the wonders of life. Family is everything – At the end of it all, all that matters is family. Nothing comes close to being an intimate part of this holy unit. Whether it is my husband, daughter, parents, in-laws, brothers, aunts, cousins, nieces or nephews, they are my everything. No matter the differences or the discord, we are all tied together in a beautiful bond. 2018 taught me to love, forgive, cherish the good times, partake in the bad times and value one another. And 2018 has been a lovely family reunion with many new cute additions from both sides of the family. Ah, I love being a daughter, sister, wife, DIL, mom, cousin, niece, aunt…It´s sweet! I cannot even describe the amount of fun I had – Summer vacation in Goa, family weddings in Kerala, California and Chennai. It was drama, masti and memories galore. How was your 2017 and its learning? Have you found what you were looking for 2017 or still seeking…? Thank you so much, Meha! Absolutely, there is always something to learn from each years and its lessons. I wish you a wonderful , loving and fulfilling 2018 as well. Love and Hugs! Looks like you had a year full of work and home time too. I agree on that part about working from home. Unless one gets organized with schedule and all that, it can get hard. Loved that theme you had for 2017 and I will sure stop by to read more on your space. Have a happy 2018, Tina! You have had a wonderful 2017 with so much of appreciation for the power in your words. May you keep growing much more Tina. There is a lot to learn from you and I am glad I found a friend in you . Thank you so much, Priya! Glad you liked the points. Keep stopping by and reading! Love, Cheers and a Happy 2018 to you!